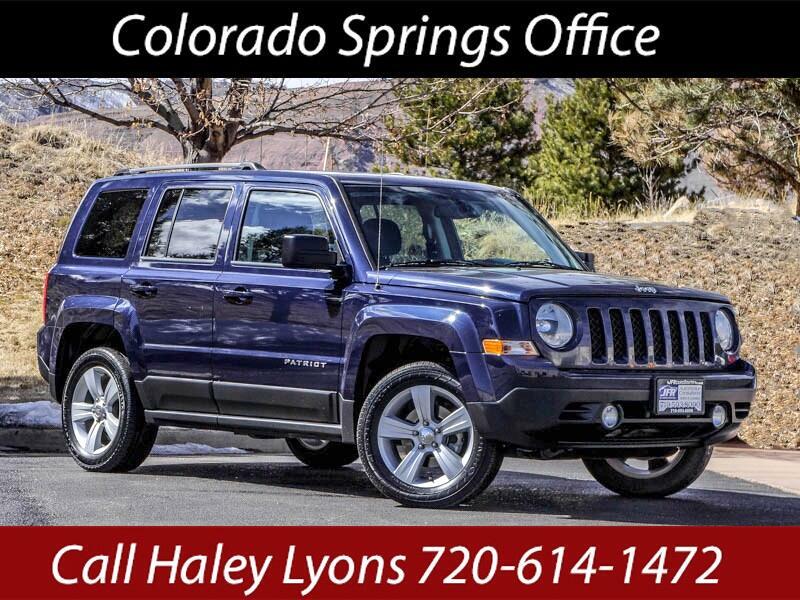 Used 2017 Jeep Patriot Latitude 4WD for Sale in Littleton CO 80120 JFR & Associates, Inc. Yes, this Patriot loves adventure and good times. The Patriot's primary gauges make a good first impression and are easy to read and straightforward. The cabin is roomy and offers a cargo area for all your extras. This Patriot is ready to get the party started for you. It loves spending the weekend in the mountains exploring and creating new experiences for you and your friends. You'll find a variety of options on this Patriot like keyless entry, alloy wheels, Bluetooth integration, MP3 CD player, Satellite Radio, tilt wheel, luggage rack, remote ignition, plus lots more to make your driving experience more fun. You are cordially invited to take this Jeep Patriot for a spin and discover for your self how nice this Jeep handles and drives. Contact us today and schedule your test drive.